Is Kindle Scout A New Opportunity For Authors? Some authors may have missed reading about the launch or Amazon’s Kindle Scout. It is an interesting innovation by Amazon, and an opportunity for authors, as it relies on voting from readers to decide which books are selected to be published by Amazon. The idea is quite a twist on self-publishing, as it gives authors a chance to receive publishing contracts from Amazon. Kindle Scout is reader-powered publishing for new, never-before-published books. It’s a place where readers help decide if a book receives a publishing contract. Selected books will be published by Kindle Press and receive 5-year renewable terms, a $1,500 advance, 50% eBook royalty rate, easy rights reversions and featured Amazon marketing. A book is a new, never-before-published work that you’d like to see published. 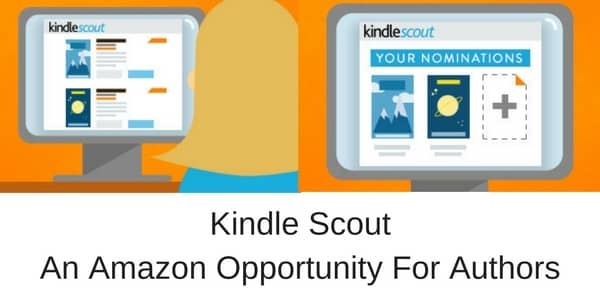 For authors who may be close to finishing a new manuscript, it could be worth considering entering your book into the Kindle Scout programme before publishing. What have you got to lose? Or more precisely, what have you got to gain? Where To Get Paper Writing Help Online?